Everything is Borrowed was published by New Door Books on May 9, 2018. Listen to Nathaniel Popkin on the Life Elsewhere radio program from NPR talking about Everything is Borrowed (click the May 13, 2018 episode). 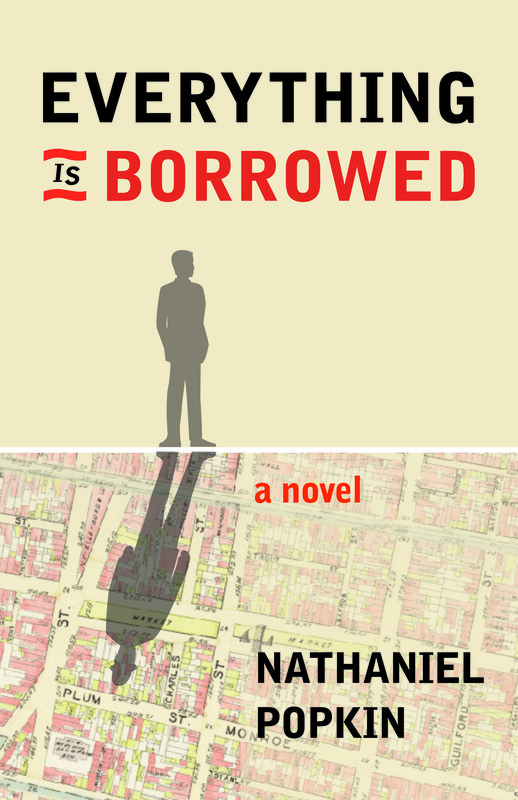 Listen to Nathaniel Popkin on the Give and Take podcast talking about Everything is Borrowed. Listen to Nathaniel Popkin on Yale Radio’s Museum of Nonvisible Art talking about Everything is Borrowed. “As Nicholas Moskowitz peels back the layered history of his neighborhood, releasing anarchists and holy men, immigrants and philosophers, and his own lost love, he discovers that we cannot build a meaningful future until we learn to honor the past. Both poignant and cerebral, Everything is Borrowed is an evocative meditation on the bond between a man and the places that formed him. Previous Previous book: Who Will Speak for America?